A leading telecom company offering mobile, broadband and direct-to-home (DTH) satellite television services in India had a unique business problem. The company’s subscriber base of more than 100 million was growing rapidly and registering 150 million call data records (CDRs) daily. However, the company faced recurring instances of fraud which impeded its ability to grow and scale up. 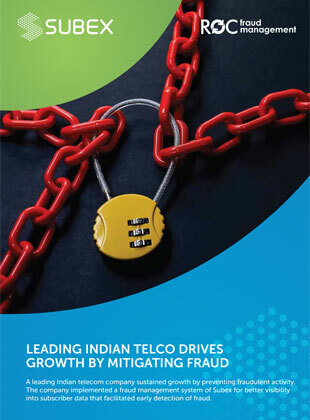 The company engaged Subex, and the partnership helped the telecom operator attain better visibility into subscriber data that facilitated early detection of fraud.